Q: You strike a folksy, Midwestern tone in "The Braindead Megaphone," but clearly you have also traveled to Pakistan and other countries. Can you talk about those trips, under what guise they came, and how they affected you as a person? A: My first degree was in geophysics, and my first real job was as a field seismologist in Sumatra. We worked four weeks on/two weeks off, and on my leave time I would go on these long trips - to Pakistan and up the Malay Peninsula, or to Russia. The main thing that happened was that I went from being a Reagan-supporting, Ayn Rand worshipping conservative to being a Steinbeckian leftist, because of the things I saw. Our crew in the jungle did a lot of drinking and there were some cases where our people too advantage of the local people; I'd go to Singapore and see these old ladies doing construction work, and oil field guys involved in some really wild and nasty nightlife...and something in me sort of internalized and politicized this. It didn't seem decent. And it didn't mesh with what Any Rand (or Ronald Reagan) were telling me. And this continued when I went home and was out of work and traveling, or working some hard jobs -- the whole conservative paradigm started to seem false and cruel. The remainder of this interview will appear in this weekend's Hartford Courant. 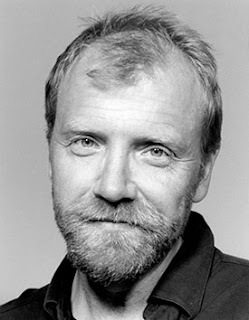 "Critical Outtakes: George Saunders on Travel" was posted September 12, 2007.